When Should You Write a Will? When should you write a will? 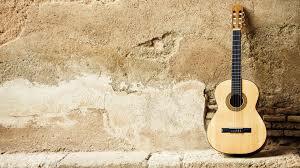 Many people believe that you should write a will only when you are more advanced in years. Or if you have real estate. Or if you have millions in the bank. It is easy to think that you should only write a will when you are grey-haired and you own substantial assets. But this is simply not true, and here’s why. Imelda Dodds, the CEO of the NSW Trustee and Guardian often hears: “I have nothing worth leaving to friends and loved ones, so there’s no point in writing a will.” According to their research, it is young people who have the largest percentage of those people without a will, often due to the belief that they won’t die anytime soon, and if they did, they own nothing anyway. Dodd believes that we should all put our wishes in writing as early as 18 years of age. If you are over 18, it’s time to write a will! According to the Australian Securities and Investments Commission, half of all Australians will die without a will. The Australian Bureau of Statistics estimates that the Australian population sits at about 24,232,231 people (as at 4 October 2016). The population clock takes into account several factors, including the current rates of 1 birth every 1 minute and 44 seconds and 1 death every 3 minutes and 20 seconds. That means that on the 4th of October this year, about 12,116,115 people do not have wills in our country. That’s a lot of confusion and chaos to leave behind to your loved ones. Even young people will have started to accumulate superannuation, and often there is a life insurance policy within a super fund. All of a sudden, you may have an asset worth tens of thousands of dollars – or more. It’s also important to realise that a will directs your loved ones with regard to funeral arrangements, burial or cremation arrangements, and the power to administer your estate. This involves paying out debts, closing bank accounts, and distributing any assets. 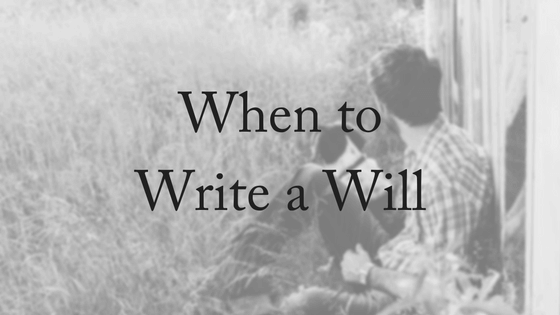 When you write a will, it really isn’t just about what you own. It just might be that at our time of death that these may not be the people whom we wish our estate to be left to. And certainly if there is no will then you cannot dictate what percentage should go to whom. If you haven’t already written a will and you are over 18, then the time is now. Nobody really wants to talk about their own death, but we are confronted with our own mortality when we hear about the death of others – particularly if they die young. According to the Australian Institute of Health and Welfare, in 2012 there were 49,692 premature deaths in Australia (that is deaths among people younger than 75). 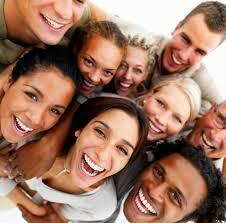 There were 1,203 deaths of young people aged 15-24 years of age. There were 5,112 deaths of people aged 25-44. The death of most of these people was unexpected. We do not know when death will come to us or when it will affect our families and loved ones. When you turn 18 you can write a will. In Queensland you must be at least 18 years of age to make a valid will. Even if you think you don’t have any valuable assets, dividing up your ‘precious things’ (a favourite book, your musical instrument or your signed cricket bat) can be of amazing worth to your family and friends when they are grieving. When you get married or define your relationship as de facto it is a good time to write or revise your will. When you have children. This is also the place to name a guardian for your children. 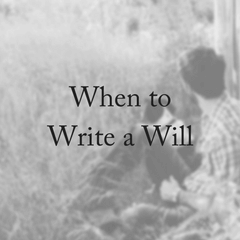 When you are divorced or remarry you need to revise your will. This is particularly important if there are children involved. After you start a business you need a will. This ensures that what happens with the business is determined by you and not those left behind. When you acquire or dispose of an asset, such as real estate. The assets we own change over time. If you leave 10 Jones Street to your sister, but you no longer own that asset when you die, there is a good chance your sister would receive nothing. This is just one example of why succession law is very complex and why you should always seek legal advice when making a will. When you have written your will it’s a good idea to not just revise it at these significant life events, but to review it at least every 5 years. This is the recommended length between revisions by many estate lawyers in Australia. If you would like to write your will or revise your current will, then we would love to help. Contact us for a free, 10-minute phone consultation. Please contact us today!